In the autumn there are the turning leaves, in the summer there’s hot sun and lush green landscapes, and in the spring there is (of course) the famous cherry blossom. When there are these wonderful seasons to travel to Japan, why choose to come in the bitter depths of winter? 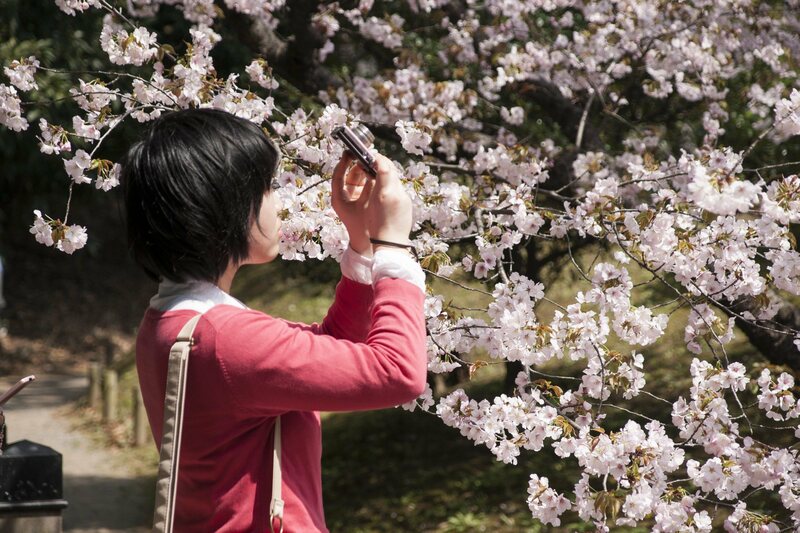 Well, I’ll let you in on a secret: winter is actually the best time to travel to Japan. OK – so the claim isn’t unqualified. Winter in Japan has its attendant inconveniences, just like any other season. For instance, on the day my family arrived in Tokyo in February for their winter Japan holiday, it was the heaviest snowstorm the city had seen for fifty years (which is just typical). 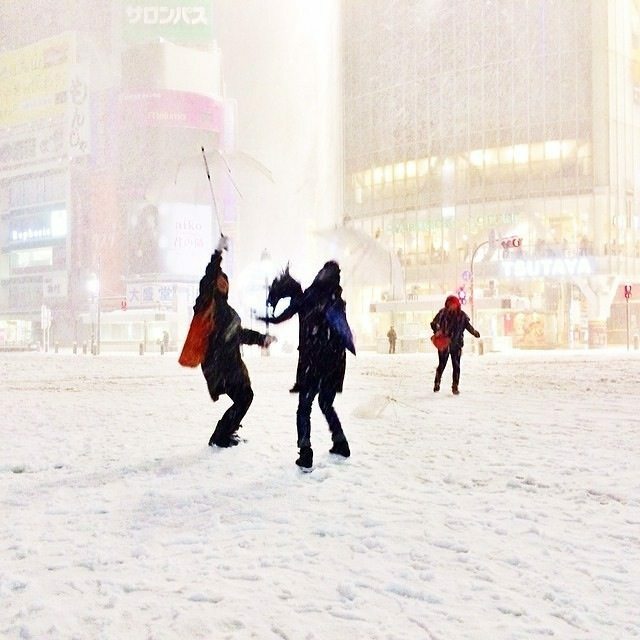 If you can’t put up with cold weather, the chances are that winter in Japan is not for you. But if you’re anything like me, the following reasons will be more than enough to persuade you that winter in Japan is the best season of all. It is a fact universally acknowledged that in Japan, there are crowds. Lots of them. It’s part of the charm of the experience: Tokyo’s Shibuya scramble crossing wouldn’t be quite the same without the swarms of pedestrians, and would the cherry blossom be as enjoyable without the festive atmosphere and parties gathered beneath the trees? But if you are allergic to queues and the thought of a squashed subway carriage sends you running for the hills, consider travelling in the winter. Throughout the colder months you will find many of the country’s most iconic sights almost completely deserted – and none the worse for being wreathed in snow or touched with a hint of frost. 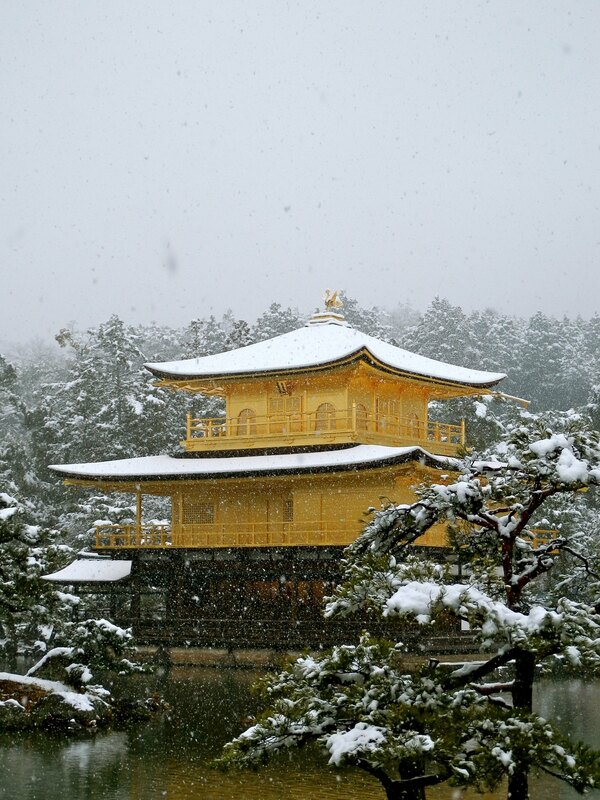 Kinkaku-ji’s Golden Pavilion is at its best in the snow, as we found in Kyoto. 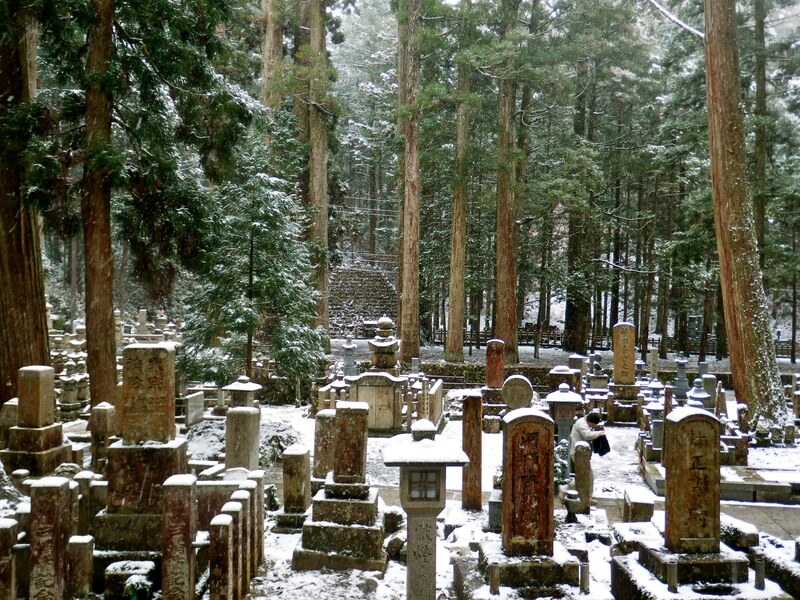 A dusting of snow on Mount Koya added to the eerie atmosphere of Okunoin Cemetery. 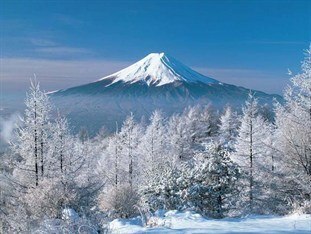 Japan is over 70% mountainous, boasts over 500 ski resorts and receives some of the world’s most reliable snowfall thanks to icy winds blowing in across the sea from Siberia. 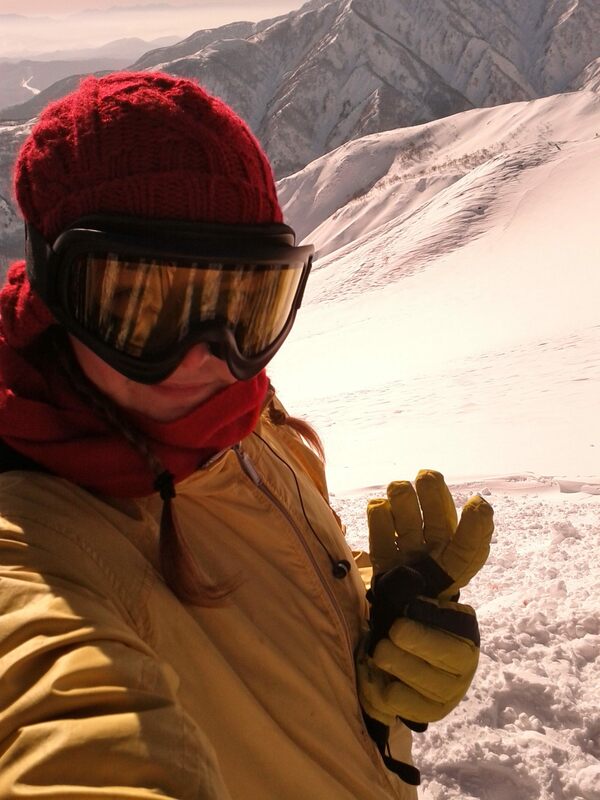 All this considered, it’s pretty much the most epic snowsports location in the universe. Japan’s ski resorts go from the absolutely minuscule to the world-class, with incredibly long, sweeping runs and superb powder snow. Having hosted the Winter Olympics in 1972 and 1998 and the Asian Winter games numerous times – and Japan being Japan – ski resort infrastructure and hospitality is generally top-notch – with après-ski to rival anywhere in the world. 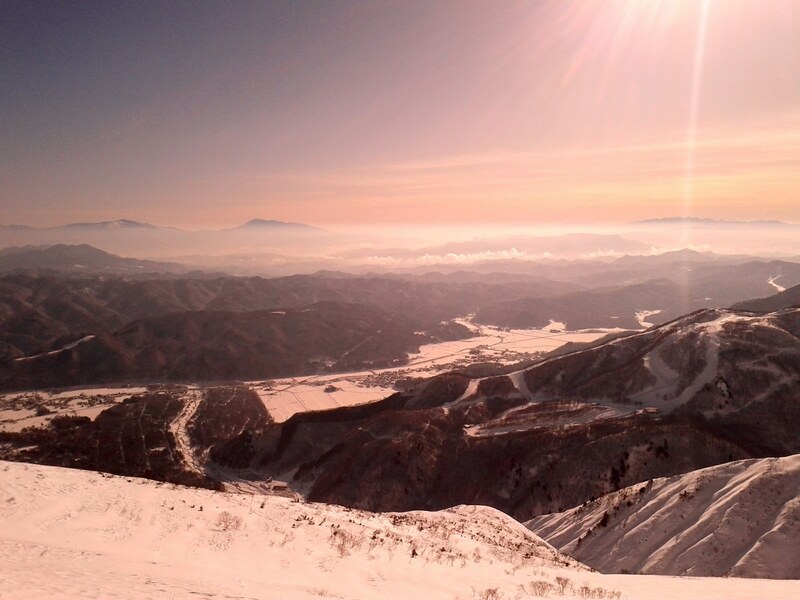 The view over Hakuba on the first day of 2014. Hakuba was one of the locations for the 1998 Winter Olympics. Lots of Japanese people go skiing at the weekend, so it’s super easy to incorporate a day of skiing into a winter itinerary – but I recommend a week or more! 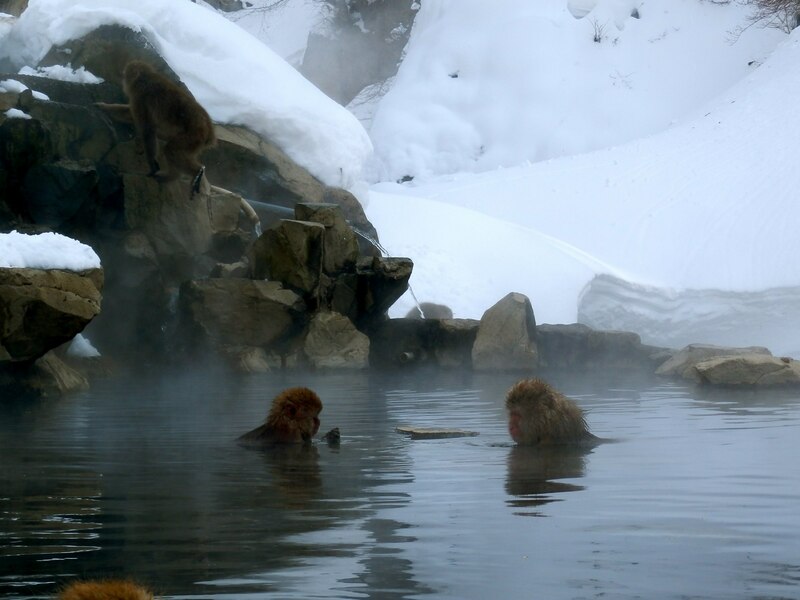 No winter trip to Japan would be complete without a visit to the hot spring-bathing snow monkeys of Yudanaka, in the mountains of Nagano Prefecture. Yudanaka is a tiny, quaint hot spring town with some lovely traditional inns and plenty of onsen hot spring baths for the chilly traveller to warm up in. It is about an hour’s walk along icy, wooded paths from the town to Jigokudani monkey park, but when you finally arrive you’re rewarded with a flock (gaggle? what’s the collective noun for monkeys?) incredibly cute Japanese macaques hanging out in their hot spring and even throwing the odd snowball or two. 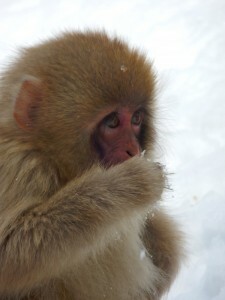 A baby Japanese macaque at Yudanaka’s Jigokudani Monkey Park. When there’s snow on the ground and you’re huddled inside your traditional ryokan inn or an izakaya pub, what better excuse to order a bottle of hot sake to warm the cockles of your heart? 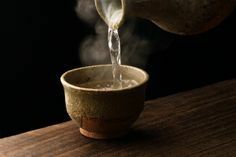 Sake is Japan’s native rice wine (known as nihonshu in Japanese), and comes in a huge variety of types and qualities. It can be served warm or cold, and there’s nothing better than coming in after a long day in the cold for a lovely warming brew (or two, or three, or four). Warm sake poured from a ceramic bottle – designed to keep the liquid warm for the longest amount of time. It doesn’t have to be chilly to enjoy a nice soak in a hot spring, but in my opinion there’s simply nothing like sinking into a lovely, steamy rotenburo (outdoor bath) when there are snowflakes falling all around you. Hot springs (or onsen as they are known in Japanese) are an integral part of Japanese culture, and there are resorts dedicated to onsen bathing up and down the country – ranging from traditional cedar-panelled bathhouses to huge, themed hot spring complexes where you can bathe in red wine or milk and honey. The onsen hot spring bath at Jinpyokaku ryokan in Yudanaka. 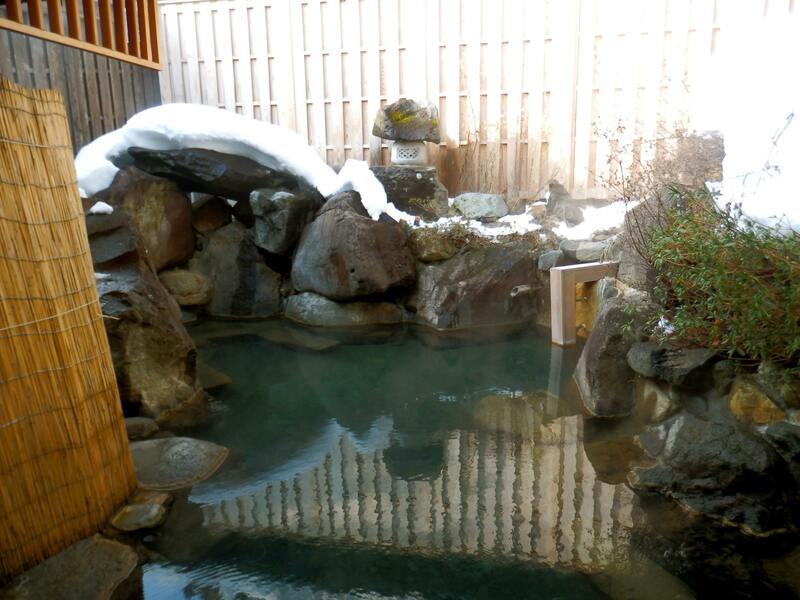 Watch this space for a post on Japan’s most magical onsen baths! 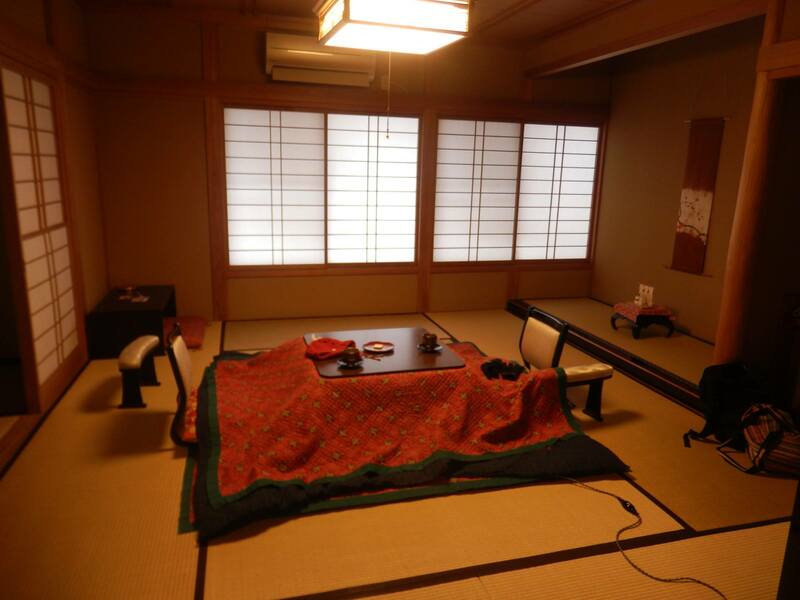 Japan gets bloody cold in the winter, but the Japanese have come up with a great solution: the kotatsu. A kotatsu is a low table fringed with a thick quilt with a heater underneath the top. The idea is that you sit cross-legged with the quilt over your knees to warm up your toesicles – but they are also great for napping underneath! In winter you’ll find kotatsu in most traditional Japanese-style inns, and some bars will even have them outside so you can combine 4) and 6) whilst watching the world go by! 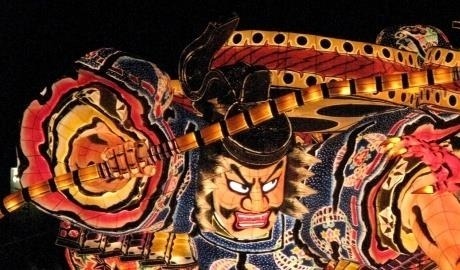 If you are in the habit of reading the InsideJapan blog, you’ll know that festivals abound in Japan. One of the most impressive of all takes place in Sapporo, capital city of the comparatively little-visited northern island of Hokkaido. 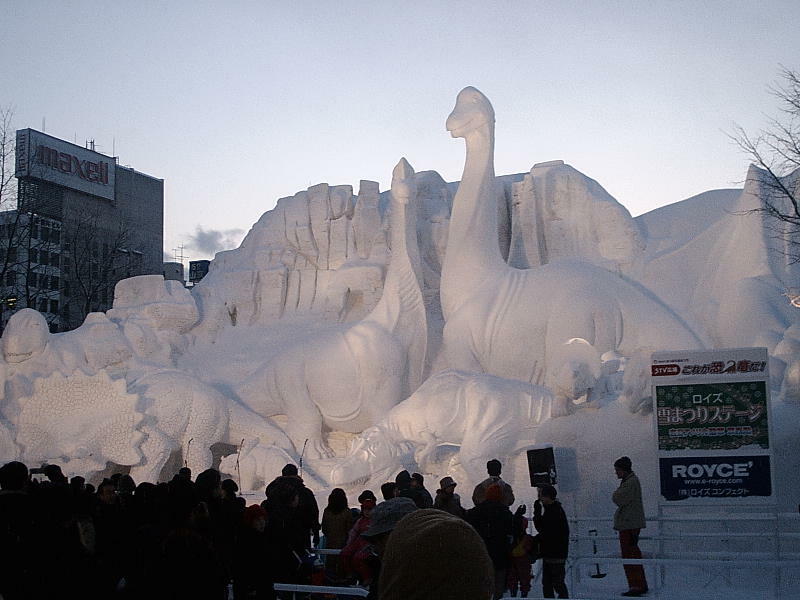 The Sapporo Yuki Matsuri, or snow festival, is a winter celebration of epic proportions. 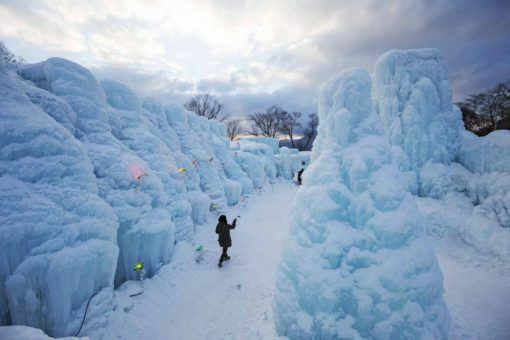 For a few days every year, the streets and open spaces of the city are filled with giant snow and ice sculptures up to 20 metres tall and 30 metres wide, with toboggan runs, games, ice bars and all sorts of fun for all ages to join in. 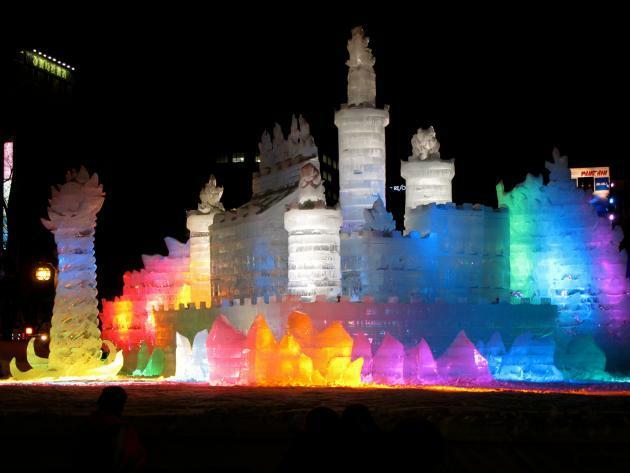 If you’ve ever fancied seeing a giant replica of the pyramids of Giza in snow, this is the festival for you. Please note that this festival is very popular (because it’s very awesome), so you’ll need to book accommodation in Sapporo well in advance. If you’re in Hokkaido for the Yuki Matsuri, why not make your way to Tsurui to witness one of Japan’s most enchanting natural events? 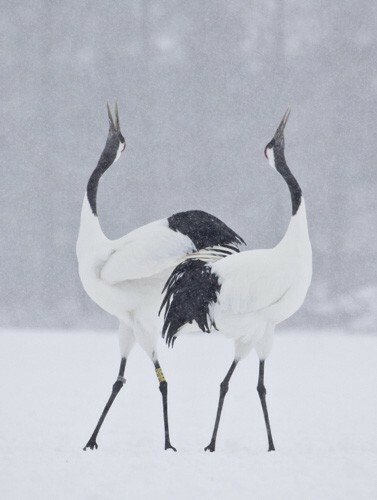 Every winter Japan’s red-crowned crane population congregates in Tsurui to mate, performing intricate and seemingly choreographed mating dances together. It’s an amazing sight, and you can be privy to it at the Tsurui-Ito Tancho Sanctuary. 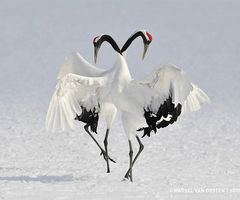 Mating dance of the red-crowned crane at Tsurui crane reserve, Hokkaido. 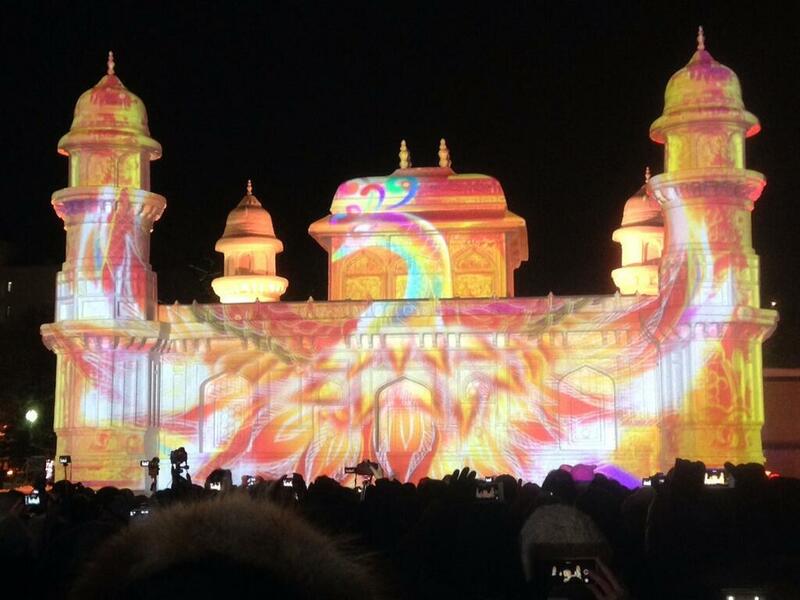 In Japan, where the national love of festivals is surpassed only by the love of lighting stuff up, illuminations are another winter must-see. The Halloween decorations are barely down before every city centre in Japan is suddenly flooded with thousands of twinkling fairy lights. Throughout the season my walk home from work through Nagoya was a winter wonderland, and attending illuminations is a favourite romantic pastime for loved-up Japanese couples. 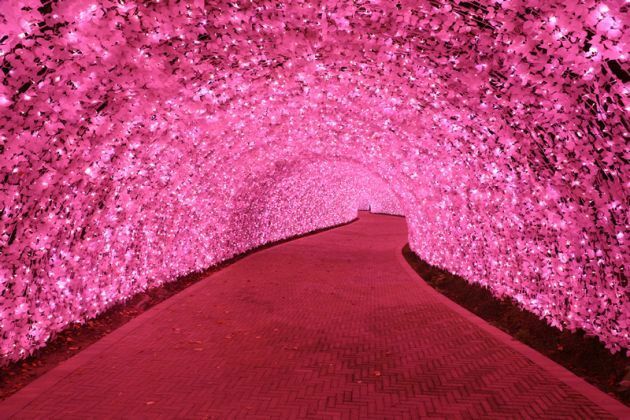 There are some pretty spectacular illuminations throughout Japan in the winter, so if you’re planning a trip there’s bound to be something awesome going on near you. 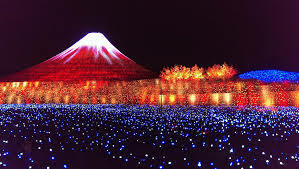 In Tokyo you should head to Tokyo Midtown to see the ‘starlight garden’; in Kanagawa you can visit the Kanto region’s largest light show at the Sagamiko Resort Pleasure Forest; and for the biggest show in all Japan, make your way to Mie Prefecture for the Nabana no Sato Winter Illumination, which boasts around 7 million LED bulbs. 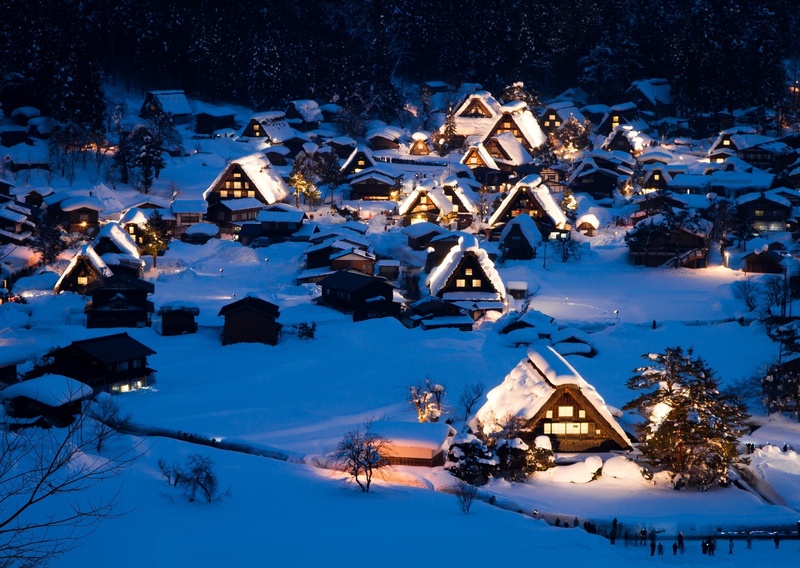 A preserved, traditional village in the Japanese Alps that was inscribed on the UNESCO World Heritage list in 1995 for its wonderful collection of original thatched farmhouses, Shirakawago is a superb place to visit at any time of year – but it’s particularly spectacular in the winter. 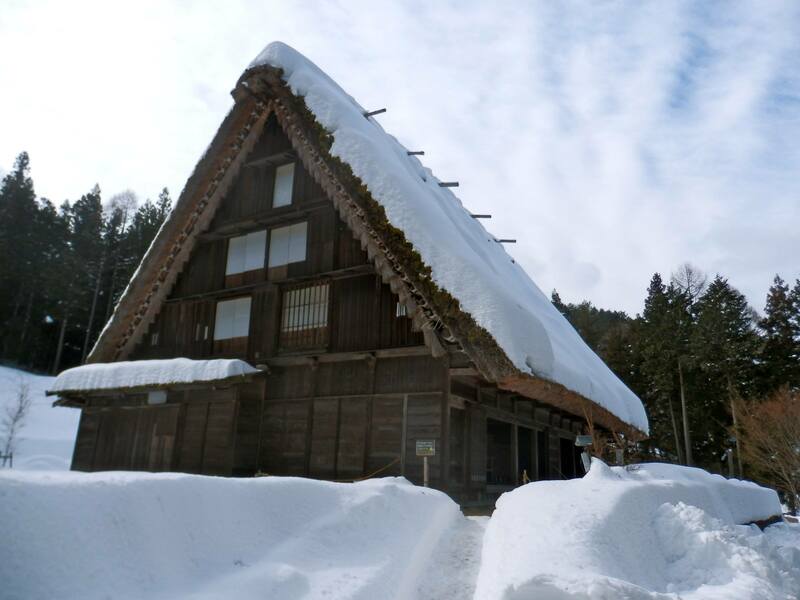 The farmhouses are called gassho zukuri, or ‘praying hands’ because of the steep pitch of their roofs – designed to cope with the heavy snowfall in this alpine region. If you decide to visit, I highly recommend arranging to spend the night at one of these farmhouses (some of which have been converted into traditional inns) for a totally unique experience that you won’t find anywhere else! And, of course, you can’t leave without seeing the view from the observation point above the village. On certain days in January and February each year (click here for this year’s dates) the village is illuminated (see, I told you they like lighting stuff up), creating one of Japan’s most picturesque winter scenes. This article was going to be called ’10 reasons to visit Japan in the winter’ – but then I went and thought of another one! Now, I’m going to have to put my hands up and confess, I have never been blessed with a glimpse of Fuji-san. Not from the pirate ship across Lake Ashi, not from the plane, not from the bullet train – nada. 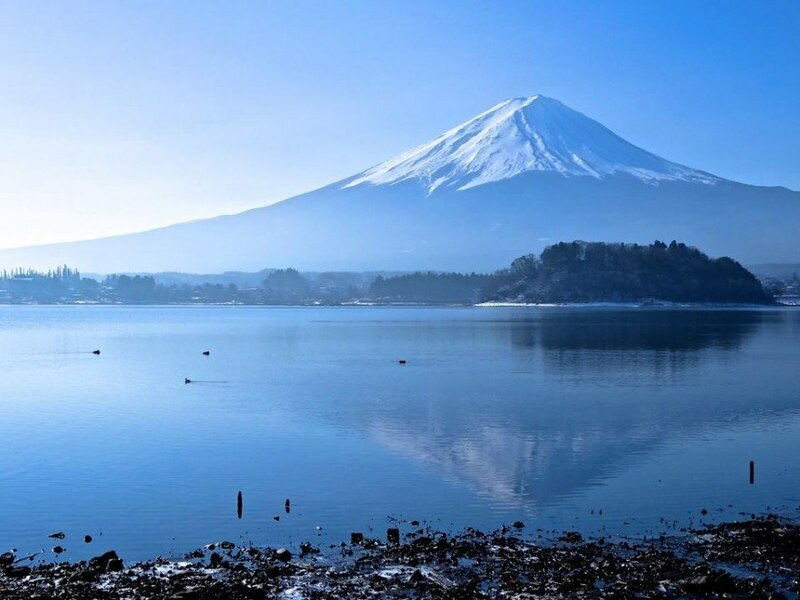 The fact is, Mount Fuji may be a Japanese icon, but she is also notoriously shy – hiding her face behind clouds and haze for most of the year. If you want the best chance of seeing Fuji-san, guess what? You have to go in the winter! InsideJapan Tours organised my family’s fantastic winter holiday to Japan in February, and can organise any (or all) of the items on this list. (Well, we can’t guarantee a sighting of Mount Fuji, so anything apart from that). Get in touch to find out how you can visit snow monkeys, sweep down ski slopes, soak in a hot spring and snuggle up under a kotatsu this winter.